Add a touch of elegance or sunshine to your home or office with the help of A-1 Blinds and Shutters, your source for custom blinds in Bradenton, Florida. As a premier manufacturer of vertical blinds and solar screen shades, we work closely with our customers to choose a window treatment that's just right for YOU. We provide free estimates, bring samples offer in-home repair on verticals to get the look for you. Our specialists will not only have the knowledge to answer your questions, but they will also have the patience to show you what your window treatments will look like before purchase. Contact us to request an estimate on any of our unique custom blinds. 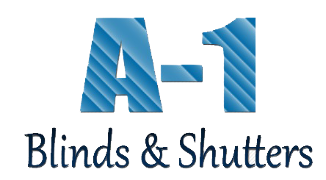 Since 1952, A-1 Blinds and Shutters has been providing home and business owners alike with only the finest window treatments available. From vertical blinds to custom solar shades, we have the products you need at prices that can't be beat. Better still, we manufacture our own custom window treatments such as vertical blinds, solar screen shades, and roller blackout shades (in house). This allows us to fulfill your order fast. A-1 Blinds in Bradenton, Florida, sells all window treatments, and also manufactures vertical blinds roller shades and solar screen shades. All of our products are high quality, and you can expect to have them for years to come. Contact us any time for a free estimate.